Bend Oregon is one of the best places to retire in the United States. It has everything a retired person could want. The recreational opportunities are abundant; everything from mountain biking, hiking, rafting, golfing, fishing, rock climbing, camping, downhill and cross country skiing, snowmobiling, general sightseeing and much more. The weather is perfect. Moderate days and cool nights characterize Bend's year-round climate. Because of the high altitude and clear air, nighttime temperatures average 30° to 40° below the daytime highs. Evenings are generally cool, even in the summer, requiring sweaters or jackets. Annual temperature extremes show that only one year out of five has a temperature colder than -17° or warmer than 100°. Frost can occur during any summer month. The average annual precipitation in Bend is less than 12 inches, over half falls between November and February, often as snow. Brief thunderstorms usually provide most of the light summer rain. Bend was originally called Farewell Bend and received its name because it was at this place that travelers over the pioneer roads had their last view of the river. Today it is only a few hours drive to the Oregon Coast. Portland is 3 ½ hours away if you are looking for a big city. Redmond International Airport (Roberts Field) is only 16 miles North. Bend is nearly the geographic center of the state and is also the most populated city in Central Oregon with a population of more then 75,000. To the east you will find high desert vegetation and to the west, Bend is surrounded by U.S. Forest Service land. At an elevation of 3,628 feet, Bend enjoys the predominately dry climate of the Great Basin. Sunny days, low humidity and cool nights provide the most common weather pattern. Bend has the highest average number of sunny days in the state. Clear days average 158 days per year with an additional 105 days that are mostly sunny. Many of the remaining days provide substantial sunshine. Days that are totally cloudy do not often occur. Bend is the outdoor recreation capitol of Oregon, with snow-capped peaks dominating the skyline. Bend is one of few places that visitors can literally ski in the morning and golf in the afternoon. Known as "the sunny side of Oregon," the Cascade Mountains act as a protective buffer, giving Bend only 12 inches of precipitation per year. That compares to 42" for Portland, 36" for Seattle and 20" for San Francisco. St. Charles Medical Center is located in Bend and is the regional referral center for more than 230,000 people in a 32,000-square-mile area of central and eastern Oregon. With more than 240 physicians on its medical staff, representing 40 specialties and sub-specialties, and more than 1,950 caregivers, it provides many services usually found only in larger urban areas. These include open heart and neurosurgery, comprehensive cancer care, inpatient rehabilitation for stroke and major injury, sophisticated imaging technologies and more. St. Charles is Oregon's' only level 2 trauma center east of the Cascade Mountains and has the region's only Level 3 neonatal intensive care unit. 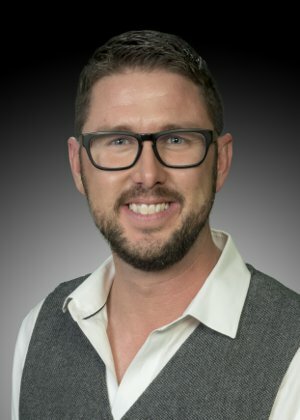 The hospital increased its inpatient bed capacity to 216 in late 2004 to keep pace with Central Oregon's population growth and is in the midst of expansions in facilities, technology and equipment. St. Charles and the many other medical facilities in Bend provide state of the art health care for the retired person. Many of the nations top Physicians and Surgeons live in Bend because of the life style found in Central Oregon. Bend also has golf courses for everyone. Central Oregon's spectacular high-desert landscape and ideal climate, four-star resorts, public, semi-private and private courses have been rated 23rd in he world as a golf destination by Golf Digest. Choose from more than 25 unique courses, some easygoing to championship layouts like Sunriver's Crosswater course, designed to challenge even the lowest handicappers. Bend also has many volunteer opportunities. Habitat for Humanity, The Oregon High Desert Museum, Hospice, and Saint Charles Medical Center are only a few of the many opportunities to give back to the community. Bend Oregon real estate prices are still moderate compared to some parts of the nation. The median home price is around $350,000. 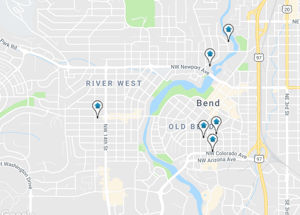 Real estate prices have been rising steadily over the past decade because Bend is such a wonderful place to live and retire. If you are thinking of moving when you retire give Bend Oregon strong consideration. It is a great place to live.